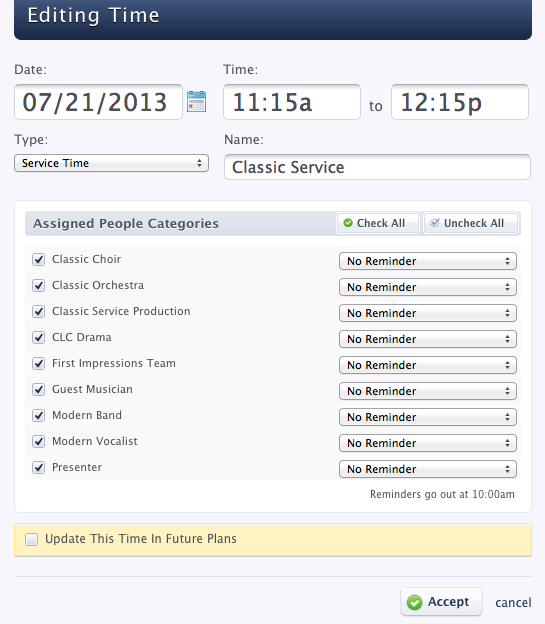 Our church uses Planning Center Services to schedule volunteers and plan worship services. 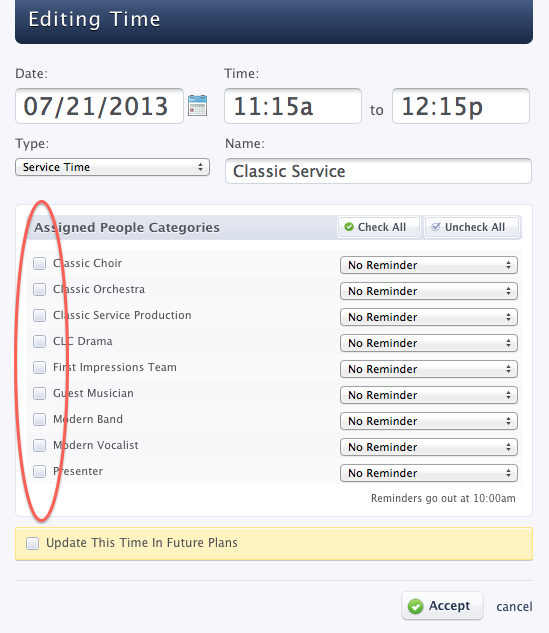 Under Services volunteers can actually block out dates that they will be gone so that schedulers do not waste time by scheduling people for dates when they will be gone. Recently I found myself scheduling people for dates they had blocked out. Needless to say, I was frustrated. My volunteers were doing what I asked them to do by blocking out the dates they are gone, but I was not seeing that information when I added them to a service. Not seeing this information also added lots of time to my scheduling because I had to fix the mistakes as people informed me they would be gone. I fired off a quick email to Planning Center Services tech support and I received a prompt reply. 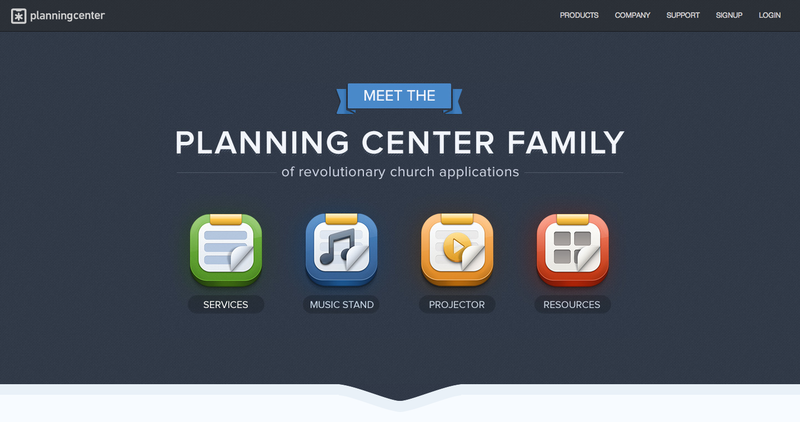 Their answer was simple and direct and I learned something I have not known since I began using Planning Center. 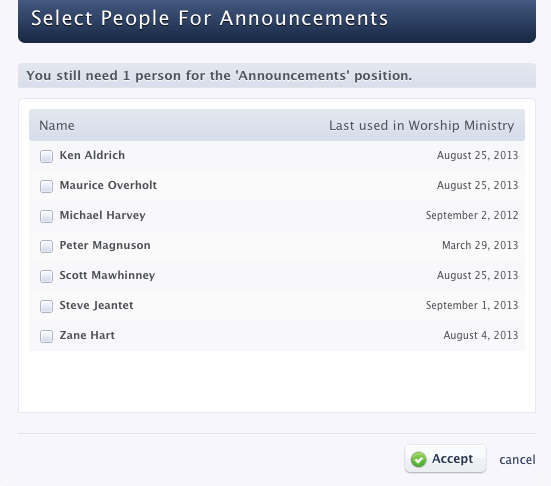 In order to demonstrate what I learned, let’s add someone to a service. In reality four of those people are unavailable, but I will not be able to see that information until I fix a small issue. You can see the red oval around the unchecked boxes. 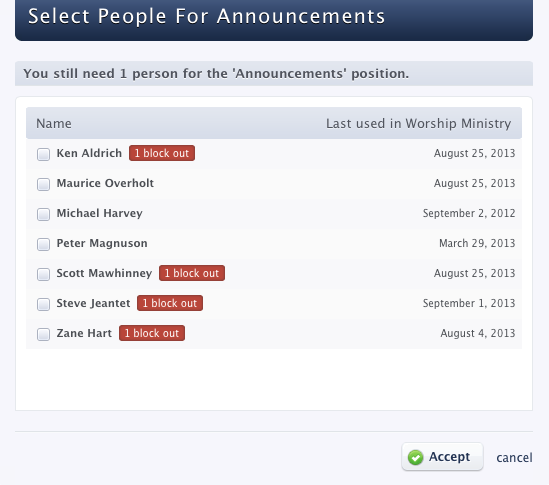 In order for me to see the blocked out dates when I schedule someone their category of service needs to be checked here. Now I can clearly see that four of the people have blocked out July 21 on their calendar and I will be able to avoid scheduling them. Thanks to Planning Center Services’ prompt tech support I am up and running smoothly again. 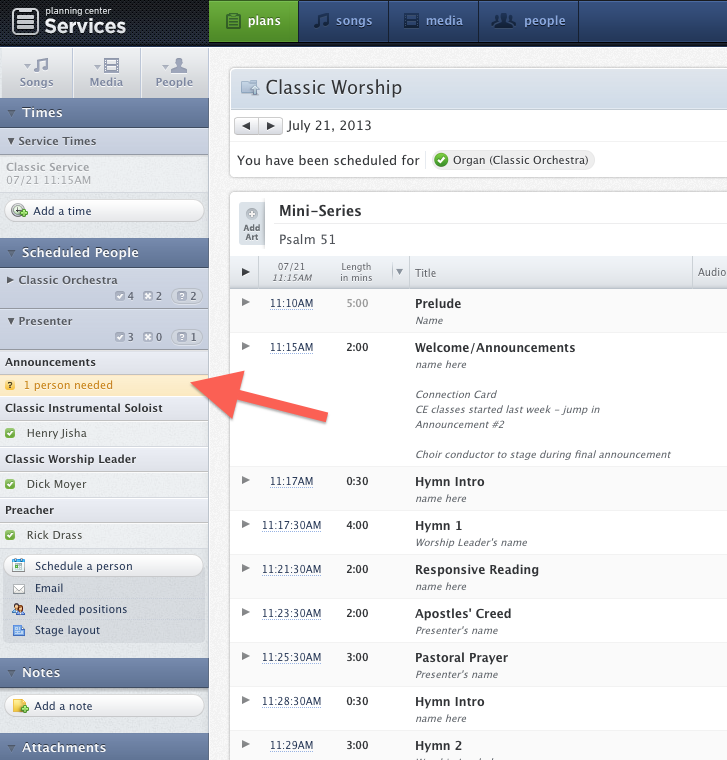 When you create a Service Time, Rehearsal Time, or Other Time, make certain you have checked the boxes for the relevant “Assigned People Categories” to make certain you can see their blocked out dates while scheduling. 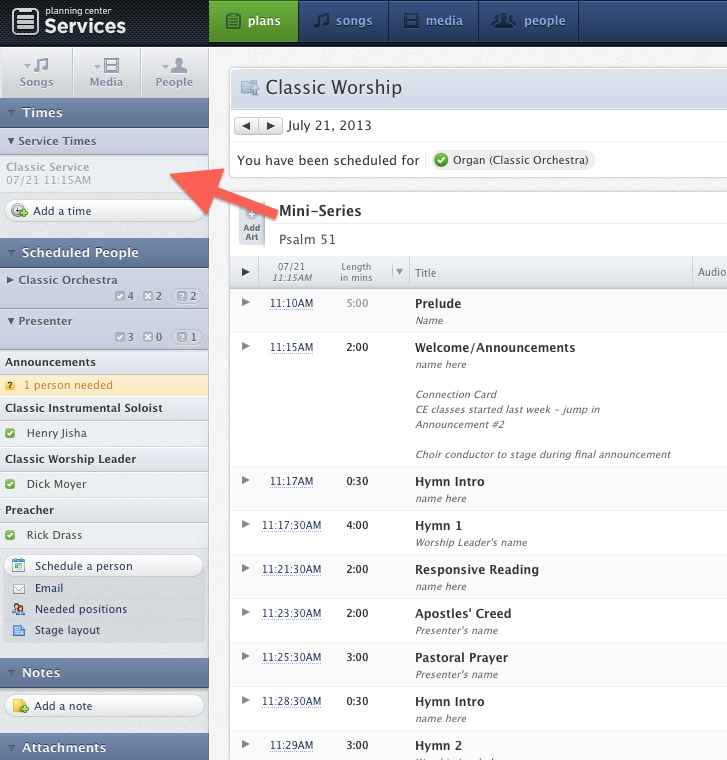 This entry was posted in Technology, Worship and tagged can't see blocked out dates, How to see blocked out dates, Other Time, Planning Center Online, planning worship services, Rehearsal Time, Service Time, unable to see blocked out dates, worship planning, worship planning software by Maurice F. Overholt. Bookmark the permalink.